I’m stuck on this screen. I mounted an ISO file, & I selected that mounted drive, but Lutris won’t move forward. 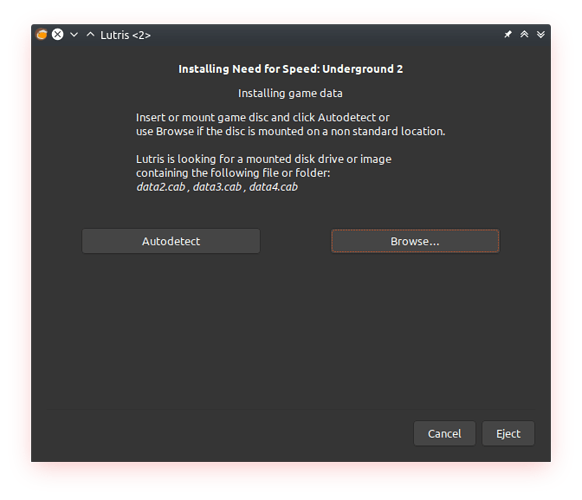 I chose the DVD version of Need For Speed Underground 2. 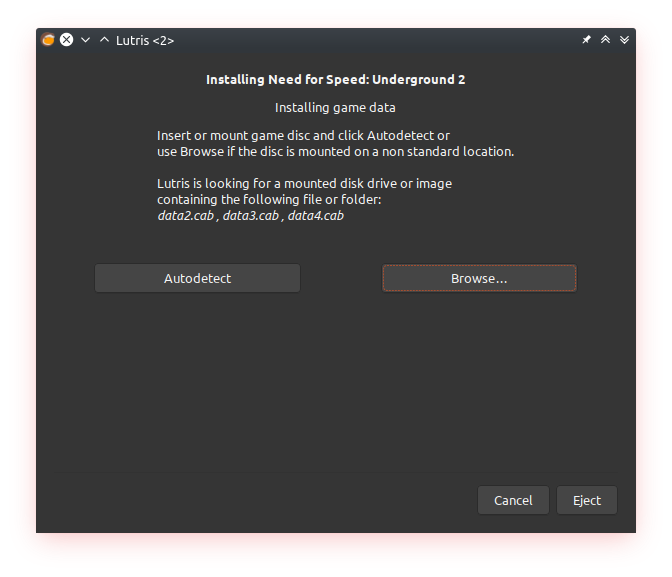 I used this command: sudo mount -o loop Need\ for\ Speed\ Underground\ 2.iso --target /media/yamiyukisenpai/virtualdrive. Edit: I also tried extracting the ISO file, but that didn’t work.